In 1982, a few years before the creation of the World Wide Web, computer scientists at Carnegie Mellon University in Pittsburgh, Pennsylvania decided that enough was enough. The lone soda vending machine in their workspace was down a long hallway, and because it was restocked by grad student volunteers there was an ever-present danger that the machine would be empty or, even worse, the soda in the machine would be warm. Rather than trudging from their offices to the machine simply to discover that the machine was empty or wasting their money on warm cola, they decided to install counters in the machine that could track how much soda was inside and how long each of the bottles had been there (it took about 3 hours for the soda to get sufficiently cold). From there, they connected it to Arpanet (the early instantiation of the modern internet) so that they could check on the status of the soda machines from their desks instead of taking the long trek to the machine itself. What does all this have to do with marketing automation? Basically, it’s a nice reminder that since before the modern internet even really existed, people have been using computers to automate tasks that are just slightly inconvenient—and that in the long run, these small instances of automation add up to more than just a few saved seconds. Checking on the status of the soda machine might seem trivial, just as scheduling social media content in advance (one of the primary functions of marketing automation) might seem trivial, but it’s exactly the kind of thing that can lay the early foundations for more radical workflows improvements. Naturally, for marketing automation to help you with your social media recruiting goals, it has to be able to address some of the existing challenges of sourcing quality candidates on social media. So, what exactly are those challenges? The first hurdle that many recruiters managing social media campaigns find themselves needing to overcome is disciplined posting. Platforms like Facebook reward consistent, disciplined usage. Pages perform more strongly when there is new content every day, and recruitment advertising efforts tend to be more effective when they are part of a large, ongoing talent acquisition strategy. Unfortunately, this requires a lot of dedicated, time-sensitive attention, often from recruiters who have numerous other job duties to carry out during the workday. This challenge underscores yet another hurdle for social media recruiters to overcome: the fact that social media is a 24-hour job. Unless you’re recruiting for only one physical location, it’s likely that in order to reach your target personas you’ll need to be posting content during peak hours in numerous different time zones. Because the “shelf-life” of your average Facebook post is only about two hours, it’s crucial that you be able to post content when your users are active, regardless of where those users are. Obviously, these hurdles are on top of the challenges that are already inherent in crafting a strong employer brand, defining a winning EVP, and developing a hiring strategy that supports your ongoing business goals. But pain-points like the ones outlined above become especially acute precisely because they’re easy to think of as small, secondary tasks, when in fact they’re important steps in spreading your employer brand. Now that we’ve outlined the challenges that are particular to social media-related tasks, we can begin to consider the ways in which automation workflows might be able to bolster your recruitment efforts. Obviously, some of the functionality most commonly associated with automation solutions (like scheduling posts in advance) makes it easy to post multiple times a day across multiple time zones without constantly having to tend to Facebook, Instagram, LinkedIn, etc. This can save recruitment marketers not just time, but considerable mental energy by obviating the need to keep performing rote but time-sensitive tasks. This, however, is just the tip of the iceberg. Like we said above, small increases in efficiency for minute tasks can have a magnified effect on your larger efforts. By giving you the ability to schedule individual posts and campaigns in advance, automation tools simultaneously provide you with the chance to create a more proactive, forward-looking plan for your candidate sourcing plans. Rather than being stuck in continuous short-term cycles of conceiving ideas and posting them, you have the breathing room to plan out all of your content for the next few days or weeks, giving you the perspective to create more cohesive, deliberate campaigns. 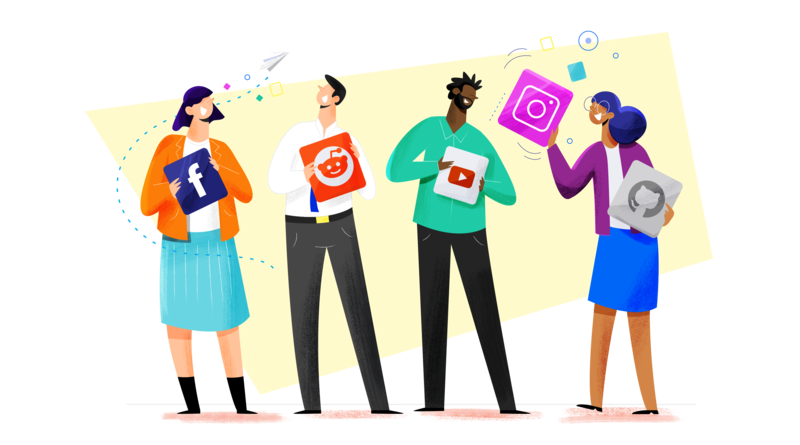 In this way, your social recruitment efforts can become more integral facets of your larger employer branding efforts, yielding a more systematic approach to your content. You may have taken not of the use of the word “systematic” in the above paragraph. What’s so important about being systematic? First and foremost, it makes it easier for you to track your successes and replicate them in the future. You’ve heard the phrase, “Half the money I spend on advertising is wasted; the trouble is I don't know which half” (usually attributed to John Wanamaker)? Well, if you’re rigorous about A/B testing and tracking the results of each individual post, campaign, or piece of content, that doesn’t have to be true. Instead, you can figure out which half of your marketing is working, and then do more of what works and less of what doesn’t. This, finally, is one of the most significant ways in which marketing automation solutions can improve your recruitment marketing efforts. By centralizing all of your channels into one place and offering automated tracking of views, clicks, and applications for each individual ad or post, a robust automation solution can make it abundantly clear, at last, which half of your recruitment marketing is working. With this knowledge, you can drive towards more efficient recruitment marketing overall, getting a higher ROI out of your social media usage, and therefore a lower cost per hire and a stronger talent pipeline.